MasterBong is back at it again with another creative way to smoke cannabis. 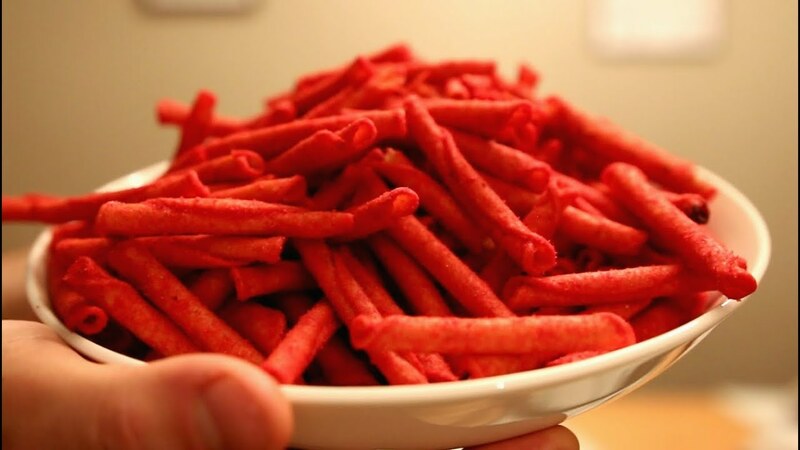 This time, he simply uses the hollow chips called Takis. MasterBong is back at it again with another creative way to smoke cannabis. This time, he simply uses the hollow chips called Takis to smoke some “fire tree.” The video later continues with MB bringing the Taki pipe to Seattle Hempfest for a sampling test with a bunch of other enthusiasts, and they all seemed to enjoy it! MB claims it’s a great MacGyver method to enjoying some cannabis when you don’t have a pipe available, but would you ever use a chip as a last minute pipe? You may be thinking, how on earth could someone be so desperate that they would have to smoke out of a Taki? The immediate logic comes from the fact that wherever you can buy Takis, you can most definitely also buy rolling papers or an apple. Using Takis as a pipe would have to be in an unforeseen scenario that no one could have predicted or prepared for. Let’s say you went for a big hike and the moment you got to the top, you and the gang were planning on getting lifted. But alas, the pipe cracked during the big climb and you only had your bag of Takis that were supposed to satisfy the munchies later on. Boom. This video is for that scenario.